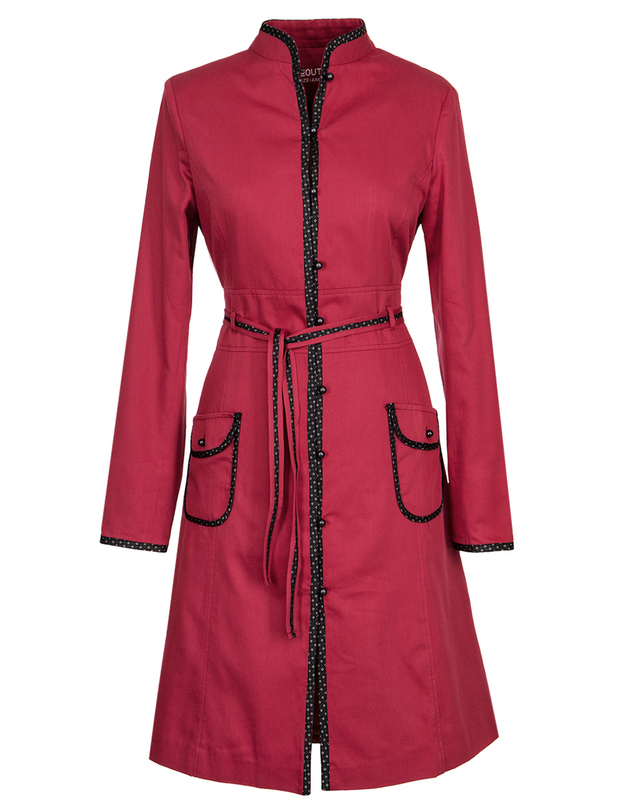 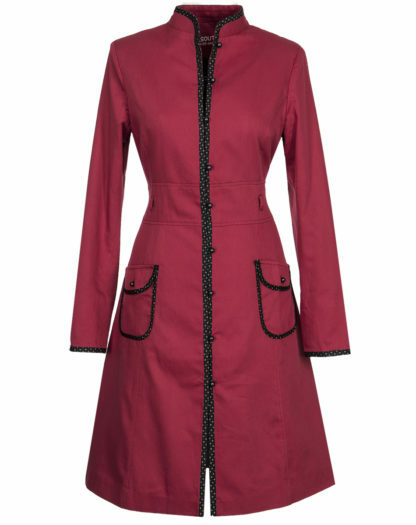 The Livia coat is a feminine red coat. 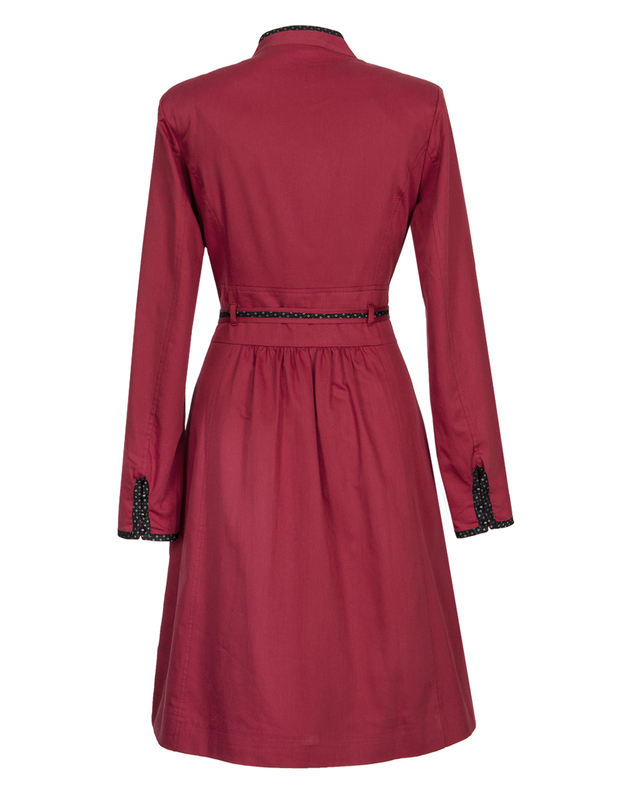 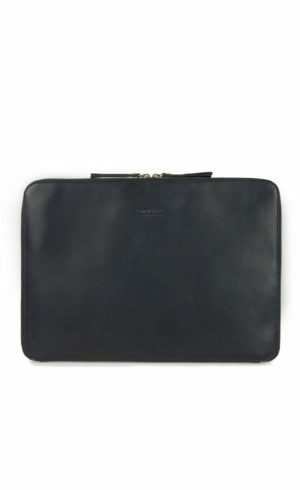 It is made of a beautiful organic cotton sateen. 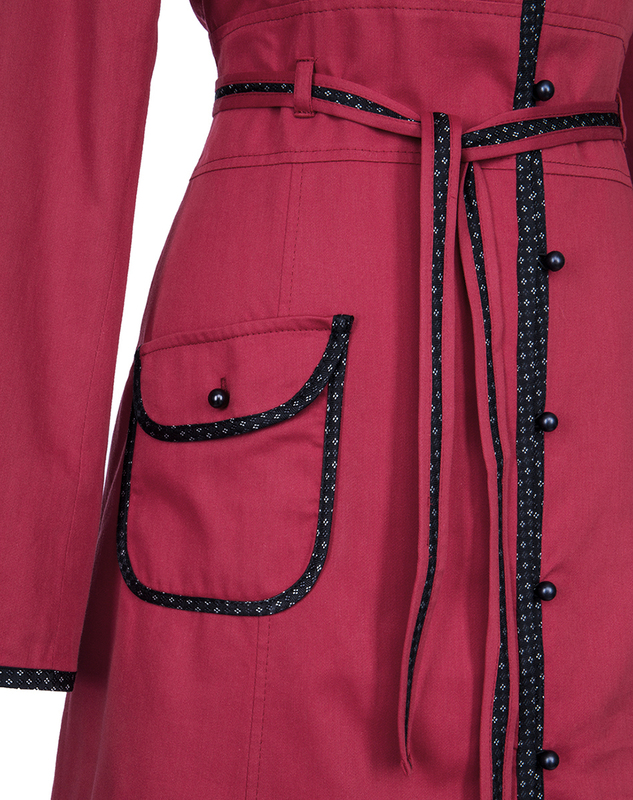 The coat has a belt, which matches the fine dotted edges of the coat. 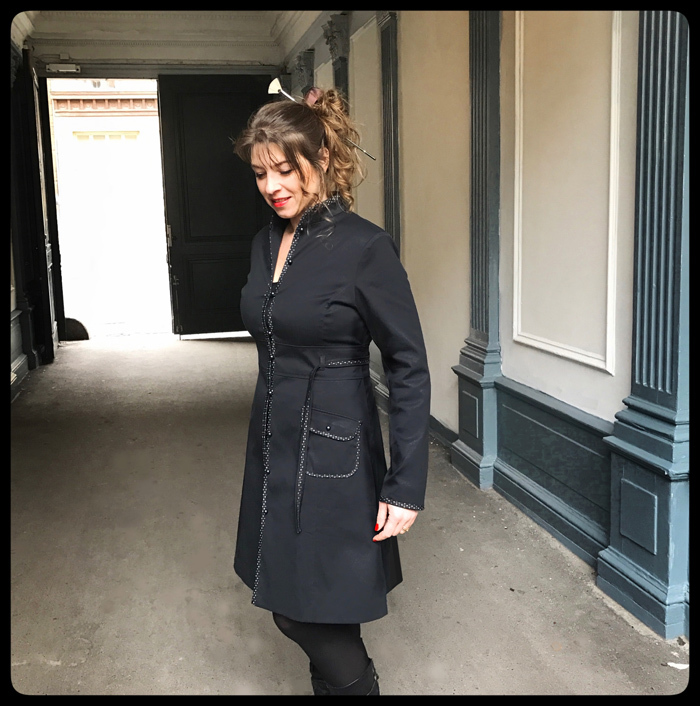 Measurements: The length of the coat is 100 cm from the neck and down. 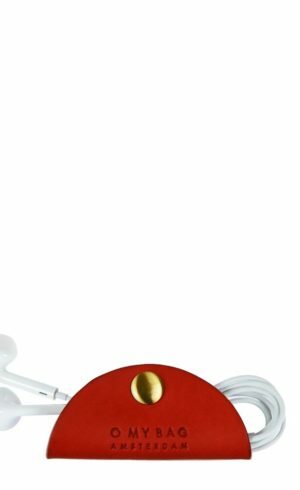 See the measurements for each size in the size guide below.